Most puzzling to astronomers, FU Orionis and the rare objects like it—there are only about 10 of them—are located in star-forming regions. Young stars usually form and feed from their surrounding gas and dust-rich regions in star-forming clouds. By contrast, the region of star formation closest to CX330 is over a thousand light-years away. How did CX330 become so isolated? One idea is that it may have been born in a star-forming region, but was ejected into its present lonely pocket of the galaxy. But this is unlikely, astronomers say. 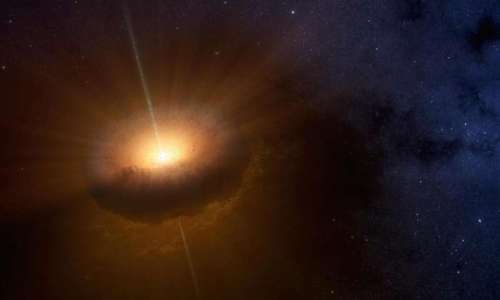 Because CX330 is in a youthful phase of its development—likely less than 1 million years old—and is still eating its surrounding disk, it must have formed near its present location in the sky. 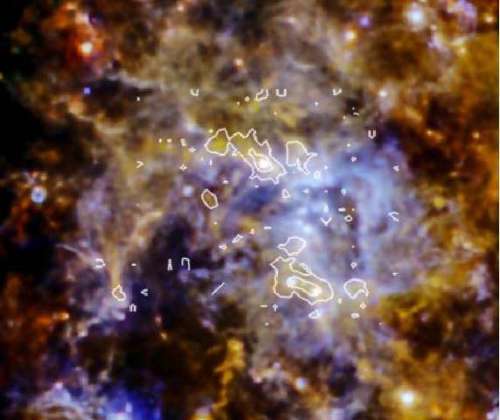 The star forming molecular clump W43-MM1 is very massive and dense, containing about 2100 solar masses of material in a region only one-third of a light year across (for comparison, the nearest star to the Sun is a bit over four light years away). Previous observations of this clump found evidence for infalling motions (signaling that material is still accumulating onto a new star) and weak magnetic fields. These fields are detected by looking for polarized light, which is produced when radiation scatters off of elongated dust grains aligned by magnetic fields. The Submillimeter Array recently probed this source with high spatial resolutions and found evidence for even stronger magnetic fields in places. One of the outstanding issues in star formation is the extent to which magnetic fields inhibit the collapse of material onto stars, and this source seems to offer a particularly useful example. CfA astronomers Josep Girart and TK Sridharan and their colleagues have used the ALMA submillimeter facility to obtain images with spatial scales as small as 0.03 light years. Their detailed polarization maps show that the magnetic field is well ordered all across the clump, which itself is actually fifteen smaller fragments, one of which (at 312 solar masses) appears to be the most massive fragment known. The scientists analyze the magnetic field strengths and show that, even in the least massive fragment the field is not strong enough to inhibit gravitational collapse. In fact, they find indications that gravity, as it pulls material inward, drags the magnetic field lines along. They are, however, unable to rule out possible further fragmentation. The research is the most precise study of magnetic fields in star forming massive clumps yet undertaken, and provides a new reference point for theoretical models. 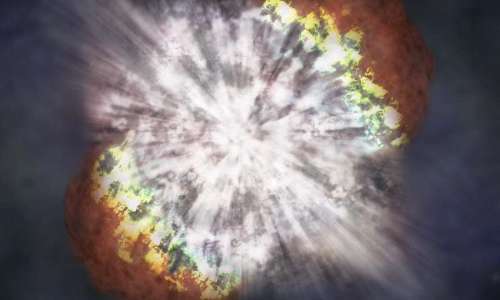 Supernovae are among the most violent phenomena in the universe. They are huge explosions that end the lives of certain types of stars. These explosions release immense amounts of energy, so much that some can be observed from Earth with the naked eye, appearing as points of light that are briefly brighter than all the millions of stars in the galaxies where they are found. Following an intense burst of light lasting a few weeks, supernovae start to fade gradually until they have effectively burned out. There are several types of supernovae. The astronomers classify them by their observable characteristics, which give clues about their origin. Among the most well known are those of type Ia .When a white dwarf, the final state of a star slightly more massive than the sun, absorbs mass from another nearby star or merges with another white dwarf, its mass grows until it becomes unstable and a thermonuclear explosion occurs. As these events produce a characteristic luminosity, they can be used by astronomers as “standard candles” to measure large distances in the universe, like sailors to inferring the distance of a known lighthouse at night by estimating its brightness. The other types of supernovae are produced when very massive stars exhaust their fuel, so that nuclear fusion in their interiors comes to an end. This fusion not only causes stars to emit light and heat, but keeps them in equilibrium so that they don’t collapse under their own gravity. When the fusion stops, the centre of the star collapses and the outer layers are flung outwards with violence, causing a supernova, while the centre implodes, leaving a neutron star—or for very massive stars, a black hole. In recent years, a new type of supernova has been discovered, about which very little is yet known, and which are brighter and longer-lasting. Astronomers call them superluminous supernovae (SLSN). Although only about a dozen of them are known, an international group of researchers has used the Gran Telescopio CANARIAS (GTC) to observe a superluminous supernova almost from the moment it occurred. 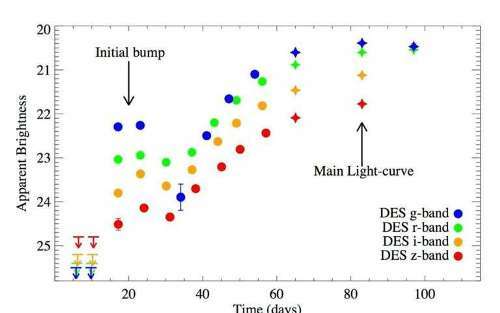 The research has revealed surprising behaviour, because this supernova showed an initial increase in brightness that later declined for a few days, and then increased again much more strongly. 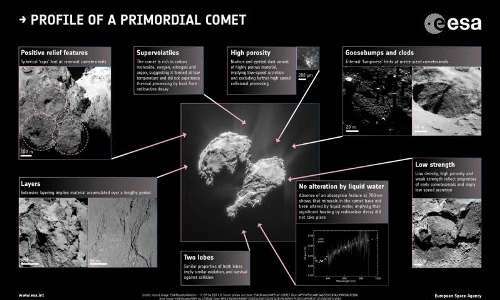 The scientists have combined from the GTC with other observations in order to try to explain the origin of the phenomenon. It is the first time that something like this has been observed in a supernova. “From our data, we have tried to determine if this is a characteristic unique to this object, or whether it is a common feature of all superluminous supernovae, but has not been observed before, which is perfectly possible given their unpredictable nature,” says the scientist. This new, intriguing object, given the cryptic name of DES14X3taz by the astronomers, was discovered on December 21, 2014 by the Dark Energy Survey, an international project that surveys the night sky, making precision measurements of over 300 million galaxies that are situated thousands of millions of light years from Earth, and incidentally detecting thousands of supernovae and other transient phenomena. The objective of this survey is to explain the expansion of the universe, and to find clues to the nature of dark energy. To do this, astronomers are using an extremely sensitive 570 megapixel digital camera on the four metre Victor M. Blanco telescope at the Inter-American Observatory at Cerro Tololo (Chile). Once DES14X3taz had been identified as a possible superluminous supernova, an immediate observation was requested on the GTC, which turned its powerful eye toward it over two nights of observation, January 26 and February 6, 2015. GTC devotes some of its observing time to “targets of opportunity,” so that other programmed observations can postponed to prioritize such transient phenomena, which may offer unrepeatable opportunities. “The GTC, with its huge 10.4m mirror, and its OSIRIS instrument, is the ideal tool to observer this SNSL, which is at a vast distance and because we are looking for information in the visible and the near infrared,” says Smith, who is a participant in the Dark Energy Survey. Thanks to the observations made with the GTC and other telescopes, Smith and his collaborators could reconstruct the evolution of the brightness of DES14X3taz from almost the moment of its detection. They have also determined its absolute brightness with great precision, as well as its distance, some 6,400 million light years. After comparing their observations with several physical models, the astronomers concluded in their article that the most plausible explanation is that the mechanism causing this supernova is the birth of a “magnetar,” a neutron star that rotates very rapidly on its axis. In the data, the initial peak of the brightness graph is followed by rapid cooling of the object, after which there is a quicker rise in brightness. 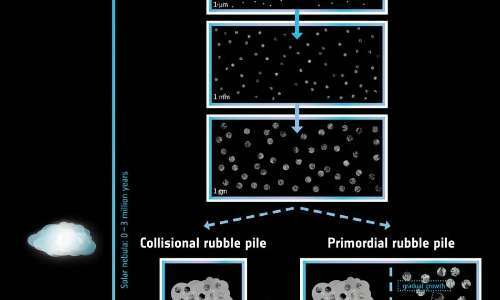 This is consistent with the emission of a huge bubble of material into the surrounding space, which cools rapidly as it grows in size. 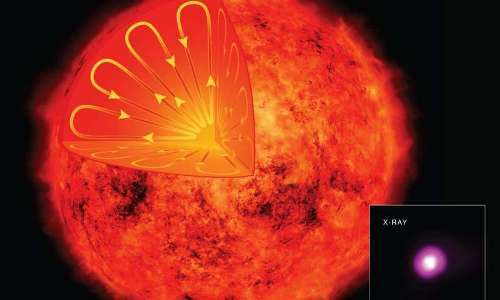 “We think that a very massive star, some 200 times the mass of the Sun, collapses to form a magnetar. In the process, the first explosion occurs, which expels into space a quantity of matter equivalent to the mass of our sun, and this gives rise to the first peak of the graph. The second peak occurs when the star collapses to form the magnetar, which is a very dense object rotating rapidly on its axis, and which heats up the matter expelled from the first explosion. 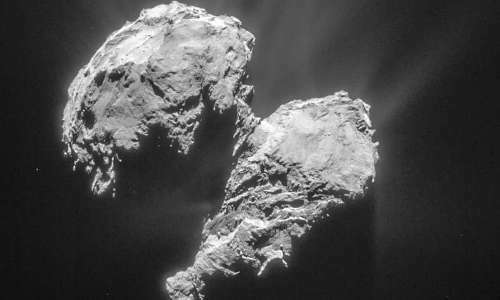 This heating is what generates the second peak in the luminosity,” explains Smith. This understanding may allow us to “standardize” superluminous supernovae as has occurred for the type Ia supernovae for use as a reference source for distance measurement on large scales in the universe. Its high luminosity may make these objects useful for calculating distances on larger scales, and with greater accuracy than current techniques. However, before we get to that point, we need a much deeper understanding of their origin and their nature. Another mystery about this new type of supernova is that, until recently, all the examples detected have been in small galaxies with low metallicity (low content in heavy elements), which is not well understood. “It is a part of the mystery of these objects,” says Smith, and adds that among future priorities, we need to detect more superluminous supernovae and observe them from the moment they explode in real time with a telescope the size of the GTC. A team of researchers from several institutions in Hungary has conducted experiments meant to test the possibility that the Vikings actually did use sunstones to navigate. In their paper published in Proceedings of the Royal Society A, the team describes the experiments they carried out, their results and why they now believe it is possible to use a sunstone as a navigational aid during times when the skies are covered with clouds. The exploits of the Vikings have been well documented—they conducted raids across Europe from the late 790s till 1066, when the Normans famously conquered England. But as more recent research has established, they were also long-distance seafaring travelers, venturing as far as the Middle East and North America. But how they found their way across vast stretches of ocean has been a bit of a mystery, particularly during times when there were no stars or sun in the sky to guide them. 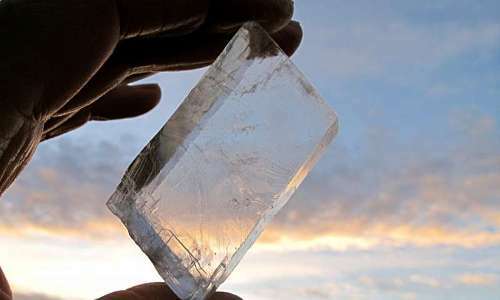 Some historical evidence such as Icelandic legends have mentioned travel under snowy skies using sunstones and a study of a Viking wreck conducted in 2002 revealed that a crystal (Icelandic spar) had been onboard that was found near other implements used for navigation. Modern sunstone is a type of crystal that, when viewed from different angles, offers a spangled optical effect. In this new effort, the researchers have conducted a study designed to test the possibility that such crystals could really have helped Vikings find their way across the ocean. 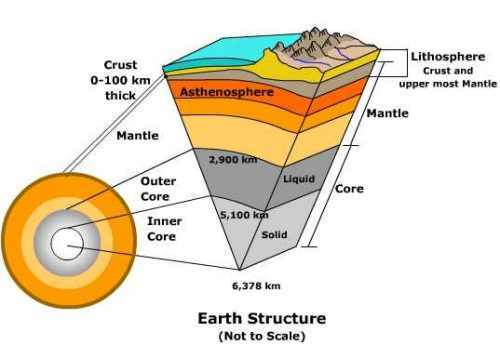 They believe it was a three step process: (1) determine the direction of light from the sky using the sunstone held up to the sky, (2) use that information to determine the direction of sunlight and then (3) use a shadow stick to determine which direction was north. The team previously conducted tests to measure the accuracy of the first two steps and, apparently satisfied with the results, have now conducted experiments with the third. To test the third step, the researchers asked 10 volunteers to try to work out the position of the sun in a digital planetarium using dots to stand in for results of using a sunstone. After conducting a total of 2,400 trials, the researchers report that 48 percent resulted in producing an accurate reading to within just one degree. They noted also that the volunteers did best when the virtual sun was near the horizon, showing that the method worked best at dawn and dusk. The team suggests their results indicate that it was possible that the Vikings used sunstones to navigate under cloudy skies.